Greetings! On behalf of Korea's three million inventor families and as a long-cherished member of the invention industry, I am more than happy to announce the establishment of Korea Invention News. The new foundation of Korea Invention News will serve as the opportunity for a new levitation of such industry and the inventors of our time. It was slight of a pity that Korea, known as the 4th national wonder of industrial property of invention world-wide, did not have a single page of an invention newspaper in existence. Therefore, as an inventor winding close to a 40-year career, I was proud to publish the first ever invention newspaper. As many of us already recognized, the 21st century is the era of invention and innovation. National competitiveness comes from both individual and business inventors in which only the countries focused on creating new inventions are the ones to lead this time throughout. It is the reason why developed countries around the world strive their best on advancing their invention industry. As for us, we realize how late we are in giving birth to Korea Invention News at this time being. 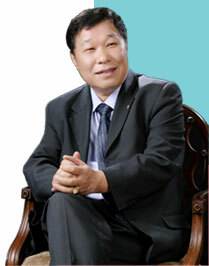 Accordingly, Korean Invention News have a solid attitude and determination to open up the era of inventions. At the same time, we will do our best on protecting all rights and privileges of inventors. Namely speaking, Korea Invention News is willing to become a newspaper that serves for the "best interest" and "best hope" for both national and international inventors. As given our opportunity, whether we	are happy or sad, wherever we are, we will be on top of our duty to be a trustworthy partner of yours truly. As Korea Invention News is making our way out, we will represent inventors, be a responsible leader to lead Korean inventors and this society. We ask for your kindliness to give your regards and interests on our progress to success. 300만 발명 가족과 발명계의 오랜 숙원이던 한국발명신문의 탄생을 알리게 되어 더 없이 기쁩니다. 한국발명신문의 탄생은 곧 우리 발명인과 발명계의 새로운 도약의 계기가 될 것입니다. 산업재산권 출원 세계 4위의 발명대국 대한민국에 발명인을 대변하는 변변한 발명신문 하나 없었다는 것은 실로 안타까운 일이었습니다. 이에 발명생활 40여년을 눈앞에 둔 제가 감히 발명신문을 발행하게 되었습니다. 잘 아시다시피 21세기는 발명시대입니다. 개인과 기업은 물론 국가경쟁력이 곧 발명이고, 발명에 앞선 개인과 기업 그리고 국가만이 성공하는 시대가 열린 것입니다. 선진국들과 우리나라가 발명진흥에 총력을 다 하 는 이유도 바로 여기에 있는 것입니다. 따라서 한국발명신문의 탄생은 때늦은 감이 있습니다. 그러나 한국발명신문은 아래 중심사업을 의욕적으로 추진하여 ‘1국민 1발명’시대를 열고, 동시에 발명인 권익보호에 최선을 다하고자 합니다. 즉, 한국발명신문은 ‘발명인의, 발명인에 의한, 발명인을 위한’신문이 되고자 합니다. 한국발명신문은 언제 어디서나, 힘들 때나 기쁠 때나 발명인 여러분과 함께하는 동반자로서 주어진 사명을 다할 것입니다. 한국발명신문은 세계의 발명 뉴스가 되어서 많은 정보 교류의 장이 되도록 하겠습니다. 국가간 상호 발명진흥에 총력을 다 하고자 합니다. 아무쪼록 새롭게 선보이는 한국발명신문이 발명인을 대변하고, 발명한국을 이끌어 갈 수 있도록 향시 지켜봐 주시고 애정 어린 채찍주시기를 간곡히 부탁드립니다.